"Two boats to maximize the conditions! Catch the best, with the best." Captain Todd Ziels fished out of what many believe to be the “chalk” of flats skiffs. We recommend a Hells Bay Professional for extreme shallow conditions, when the fish are tailing hard in the cooler months. 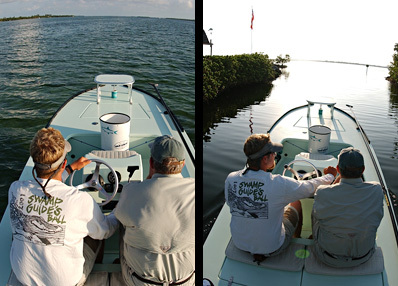 A Hells Bay Marquesa to handle the rougher more open water, and ocean side tarpon runs. This boat is very comfortable with two anglers or a parent and kids for a fun day of fishing.